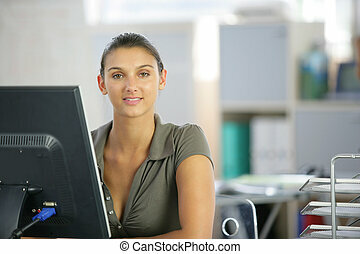 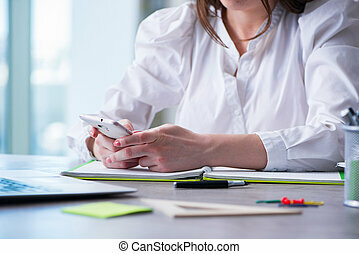 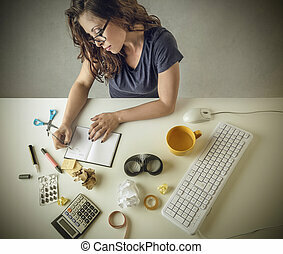 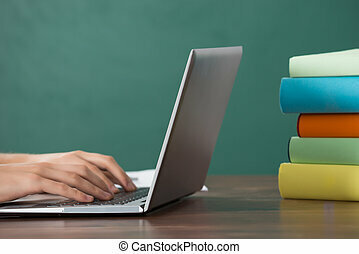 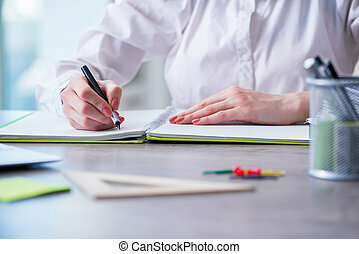 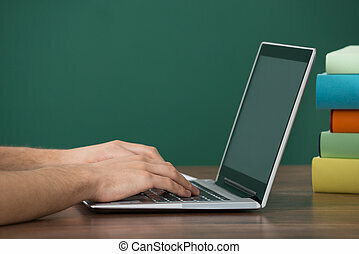 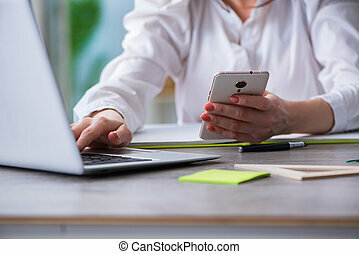 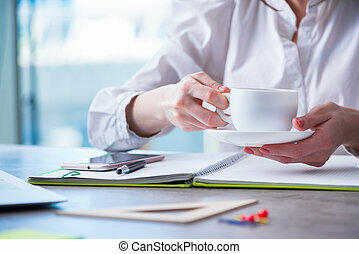 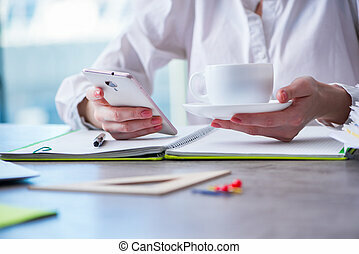 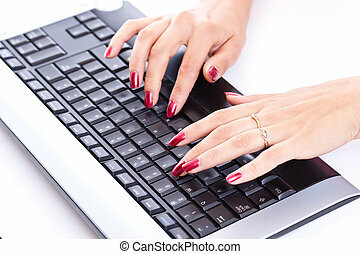 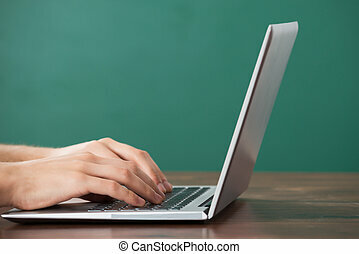 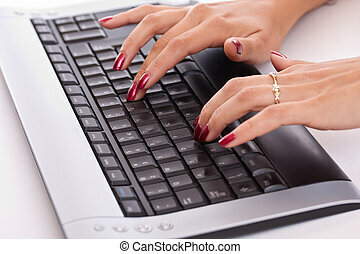 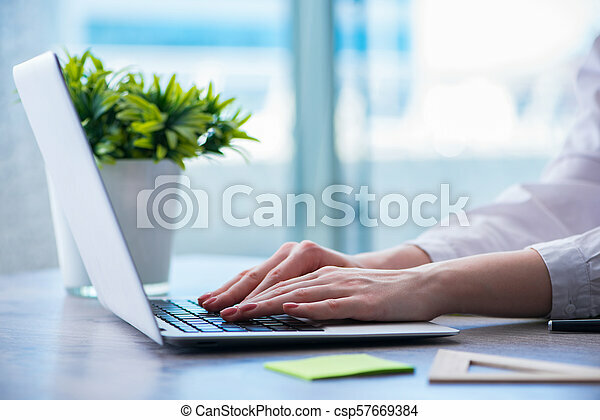 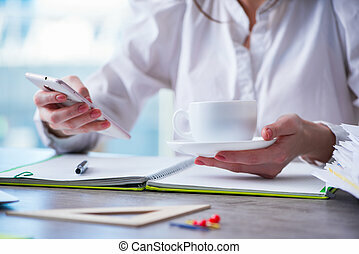 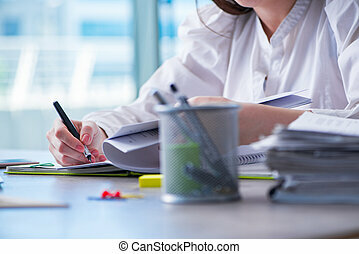 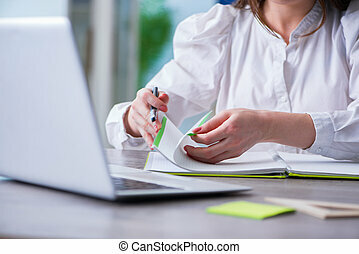 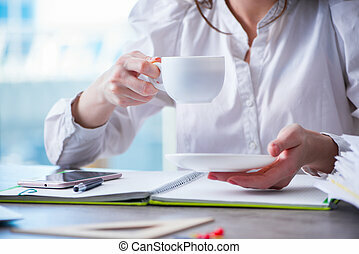 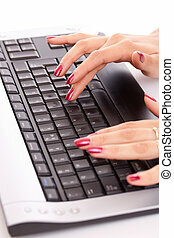 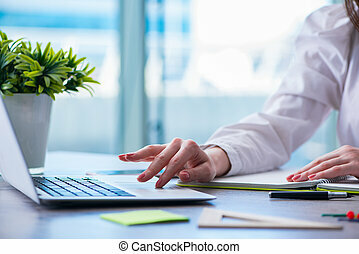 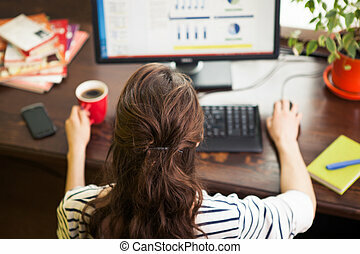 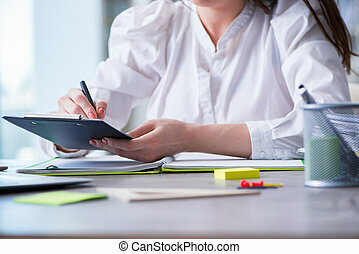 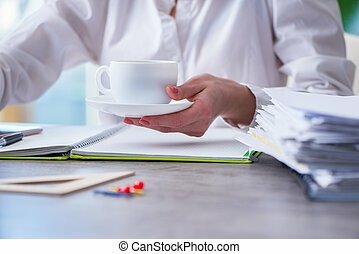 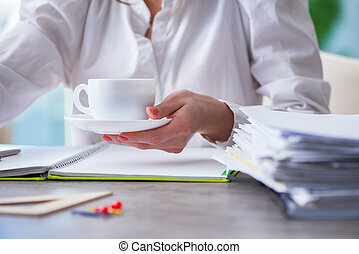 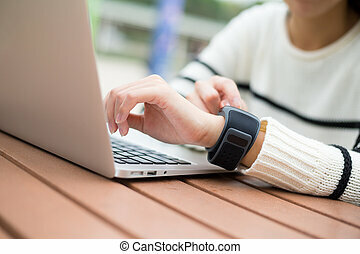 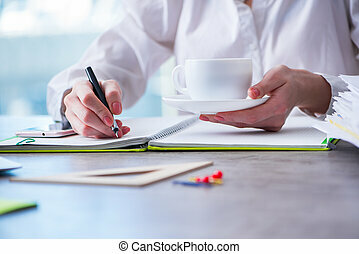 Woman hands working on computer at desk. 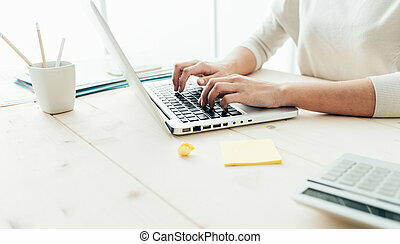 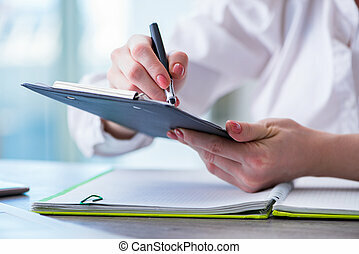 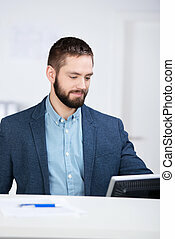 Freelancer using computer. 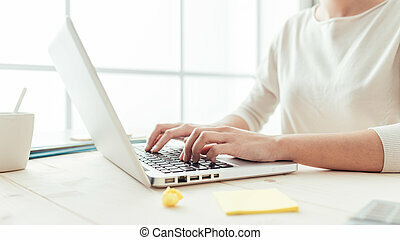 Woman working on computer at home.